Ben Tuck’s 2018 British GT Championship campaign got off to a flying start this week at the official Championship Media Day held at Donington Park in Leicestershire. The occasion was Ben’s first chance to get behind the wheel of his brand new BMW M4 GT4 during which he quickly became acquainted with the ‘Bavarian Beast’. 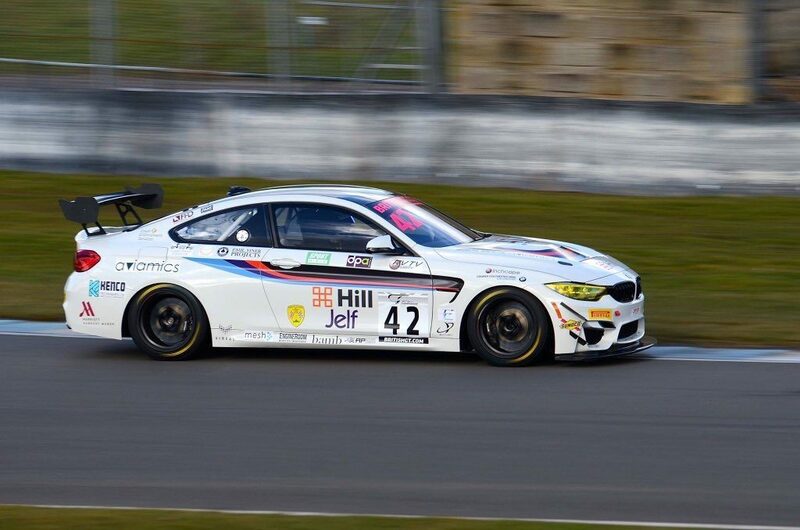 Century Motorsport were running two of the German marques latest GT4 machines, #42 – the mount of Ben Tuck and his partner driver Ben Green and the sister #43 car, which had it’s initial test runs ahead of a second driver pairing announcement. The two M4’s joined a host of prestige GT racing cars, from Bentleys and Aston Martins to McLaren’s and Lamborghini’s for the series showcase day in which fans and the press got their first sight of this years cars and drivers out on track. The BMW’s were recently delivered from Germany and Century used the British GT Media day as an opportunity to explore the cars characteristics and handling in various configurations and weather conditions. After a cold and wet start, the day began to dry and with the better conditions the #42 crew of Tuck and Green, began to push on their new Pirelli P Zero tyres. 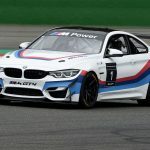 As their confidence in the car built, the two Century BMW M4 GT4’s topped the GT4 leaderboard, a superb showing considering it was the first time that the drivers had taken to the track in the cars. Ben Tuck was understandably happy with his days work. “It’s been great to finally get behind the wheel” he said. “We’re still very much in the learning phase at the moment so we’re getting to know how the car deals with different conditions and how it responds to set-up changes”. But Ben was impressed with the car, “it’s an imposing looking car, and one of the loudest out there! BMW have made a superb car and I was surprised just how much confidence it gave so soon. I was quickly able to get to the point where I could trust what it was doing. We’re only going to get stronger the more Ben and I and the team learn about the car and I can’t wait to get to know it properly and show what it can do under race conditions”. The pairing of Tuck and Green are Century’s leading crew in their bid to take the 2018 British GT Championship title. The pairing will tackle the 7 race calendar of 1, 2 and 3 hour races throughout the UK and with a special ‘fly-away’ round at the iconic Spa-Francorchamps in Belgium. With longer duration races coupled with refueling pit stops and driver changes, consistency between the two drivers is a key factor in mounting a title challenge. The team were encouraged that this is a particular strength of the #42 pairing. Across the two dry sessions both Tuck and Green were within tenths of a second of one another. The team will now take the haul of data and the extensive driver feedback gathered during the day back to their Warwickshire base to analyse, with the aim of improving the BMW’s performance at the next test. The British GT Championship features exotic machinery with the best drivers. With long duration races, refueling pit stops and driver changes, together with a bumper entry list in both GT4 and GT3 categories, 2018 is shaping up to be the most action packed year yet in British GT. Races offer excellent fan engagement, plenty of access behind the scenes at the circuit and extensive live coverage on TV and social media. The 2018 season officially kicks off at Oulton Park in Cheshire over the Easter Bank Holiday weekend.